If you are a strict vegetarian or vegan, make sure you say so when ordering vegetable dishes in non-vegeterian outlets – dried prawns, belacan (shrimp paste), shredded chicken, etc., are often used in vegetable dishes. 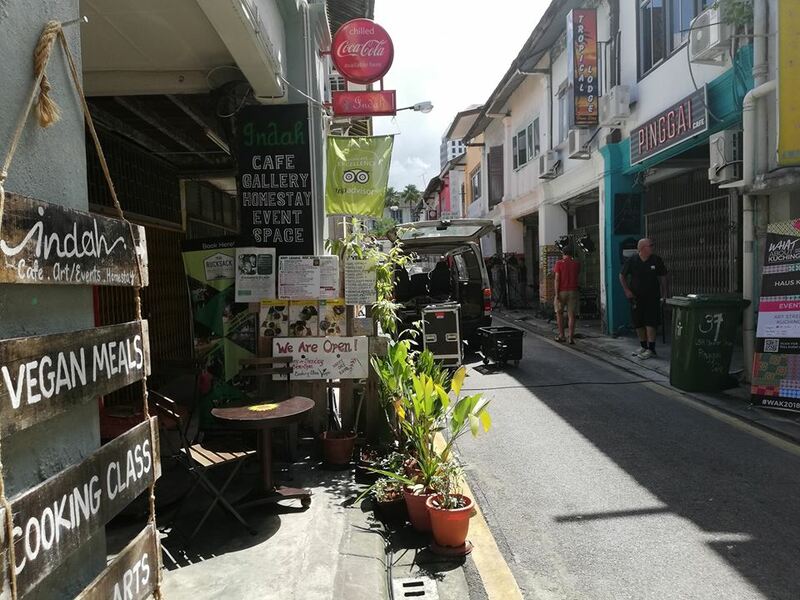 Indah Cafe, 38 Lorong Khai Joo. Indoor & outdoor setting in a beautifully restored old shophouse. They serve meat but also has vegetarian and vegan menus. Their signature vegan dish is ‘Nasi Lemak Veggie Delight’ based on the popular Malaysian fare. They run vegetarian and vegan cooking class also. Popular Vegetarian, 151 Jln Datuk Abang Abdul Rahim 5 A (behind Hock Lee Centre). Vegan-friendly Cantonese-style cooking. 9am – 2pm, 5pm – 9pm. They run vegetarian cooking class.